Hello my loves, I hope you are doing extremely well and having a great day so far! In case you were wondering what I have been up to, I’m doing well! 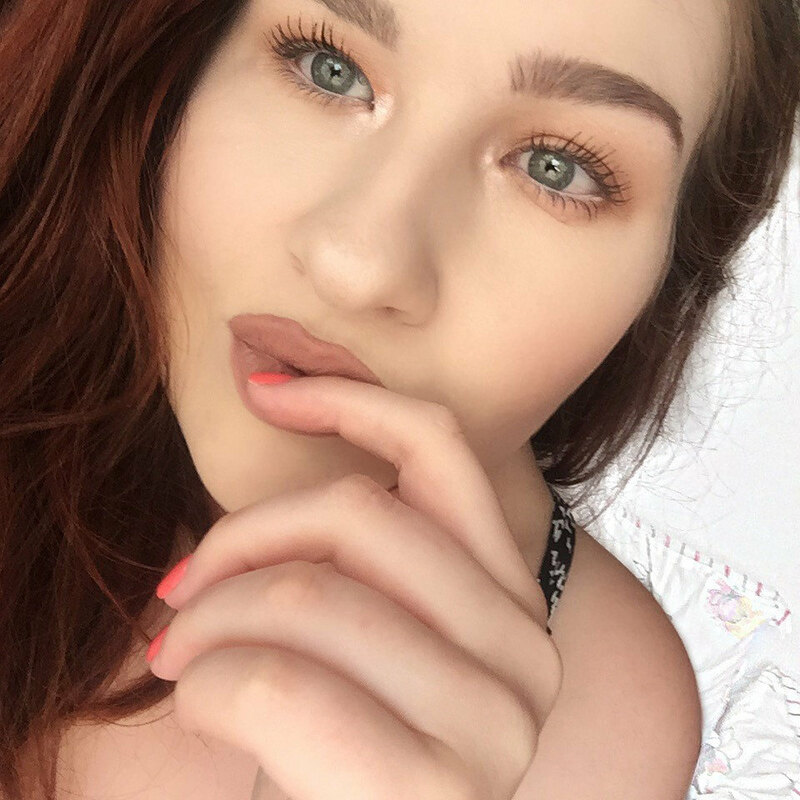 I just recently started a course to study Makeup, so hopefully soon I will know more about makeup and be able to share some of the tips I learnt with you! Anyway, back to the post, today, I am back again with another quick review, on the Salt Body Scrub Lemon Butter by Premium Spa! Let me tell you right now, that this ticks all the boxes for me! It is amazing. 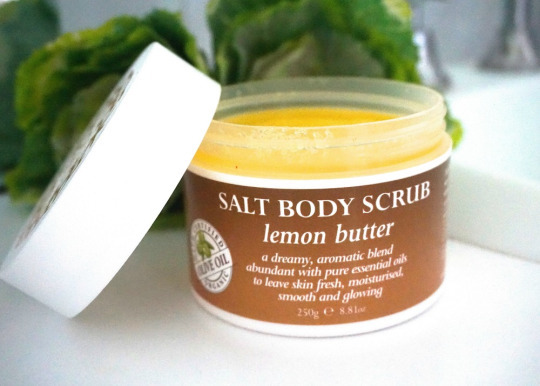 It is a lemon scented thick butter body scrub that exfoliates your skin and leaves it incredibly soft, smooth and moisturised, which was designed to do! The ingredients in it includes Organic Olive Oil, Sea Salt, Sweet Almond Oil, Vitamin E and Essential Oils, so all very natural ingredients! It is amazing. It is a lemon scented thick butter body scrub that exfoliates your skin and leaves it incredibly soft, smooth and moisturised, which was designed to do! The ingredients in it includes Organic Olive Oil, Sea Salt, Sweet Almond Oil, Vitamin E and Essential Oils, so all very natural ingredients! It has been around three days since I last used it and my skin still feels so soft and smooth! You only need to use this body scrub once a week and it will leave you glowing and smooth as a baby bottom for a week! I am not kidding, it seriously that good. As you can see in the above picture, it is a bright yellow and thick grainy texture, and all you need to do, is just apply it onto your wet skin and rub in circle motions and then wash it off. You’re now left with lovely and smooth skin! You can get this product at Priceline or on the Premium Spa website for $14.99 for a 250g tub! You only need a little bit so the tub will last for a long time, which is a good plus for me! The only con I have with the product is, you need to be careful with it if you have any open cuts, it will sting a little, just a warning! 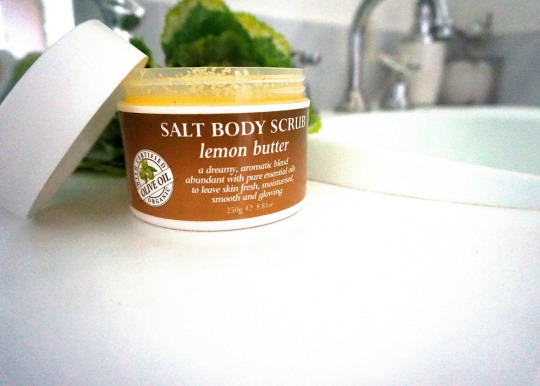 I hope you enjoyed reading my thoughts on the Salt Body Scrub Lemon Butter!